The owners of this home, a couple that splits their time between their California and Arizona properties, wanted a fun and easygoing retreat from the heat of the Southwestern desert, right here in Rockridge. 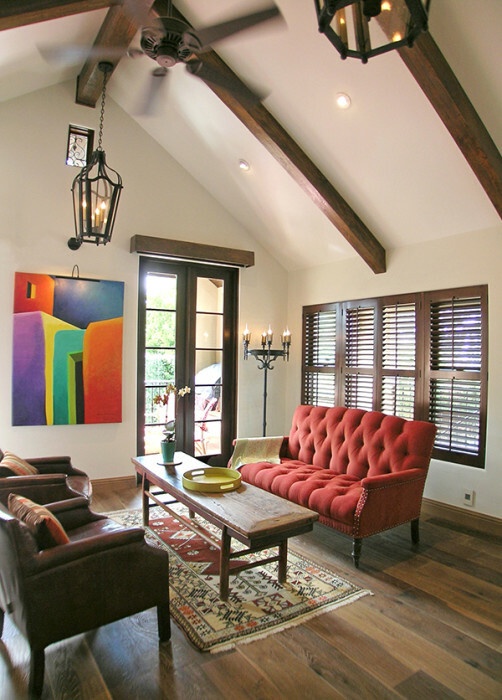 Drawing from the warmth and grandeur of the region, architect Lisa Trujillo helped them design a new upstairs pied-á-terre whose intimate scale and Southwestern flair fit their sensibility. The original single story, three bedroom home was in great shape, but was too large for their needs. The owners wanted to pare down in size, but build up to capture views, light and spaciousness. 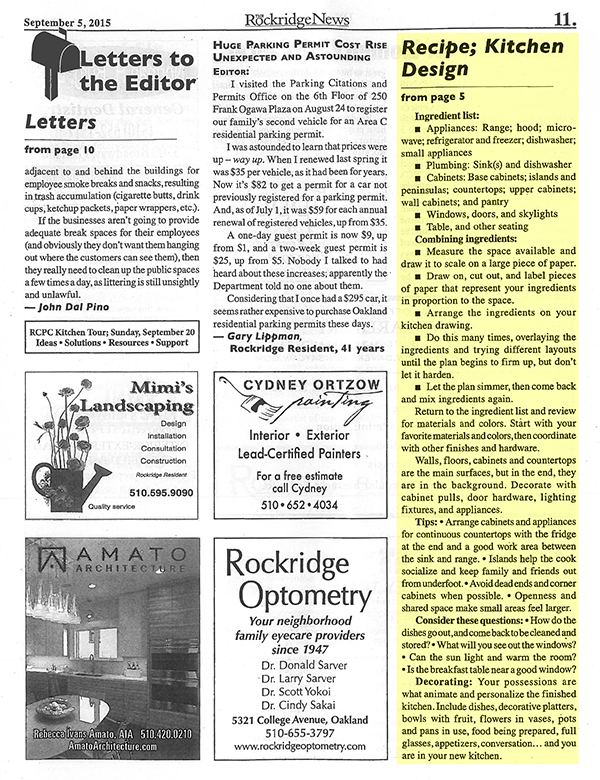 The solution was to add a second story, secondary dwelling unit on a more practical and intimate scale. The focal point is a large vaulted living room with soaring ceilings, its drama heightened by custom-milled and stained wooden beams. 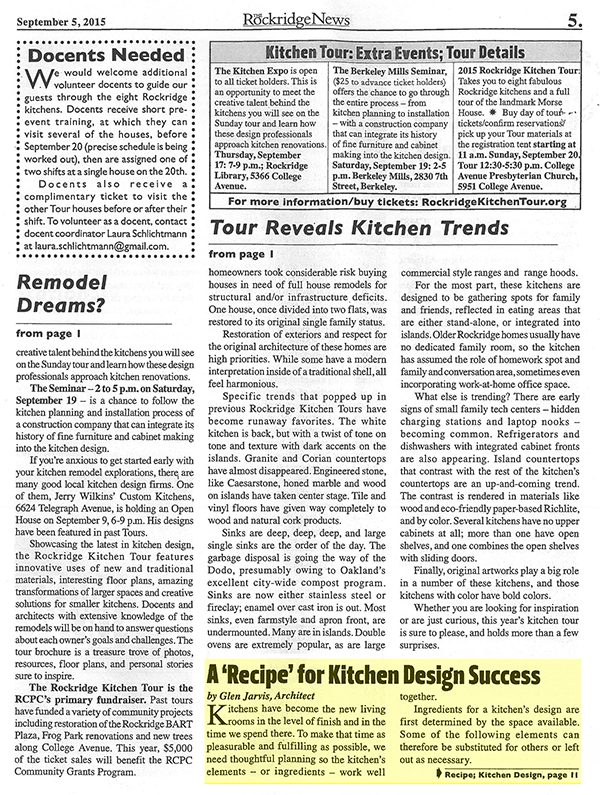 A study, kitchen, powder room, and bedroom with en suite bath and laundry complete the scope. The backyard features a hardscape with water features, storage room with attached carport, and a covered entry porch. 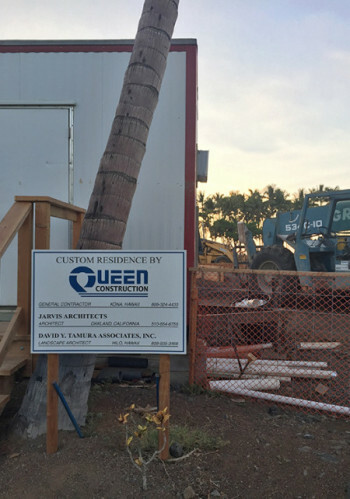 The clients procured much of the specialty hardware, doors, light fixtures, and even small trees in Arizona during construction and trucked them back to Oakland for installation. Working together with contractor Quan Tran, the homeowners fashioned a living quarters well suited to their eclectic taste. Rough-hewn wooden furniture, wrought iron light fixtures and the warm reds of textiles imbue this Oakland retreat with a rustic, sumptuous air. 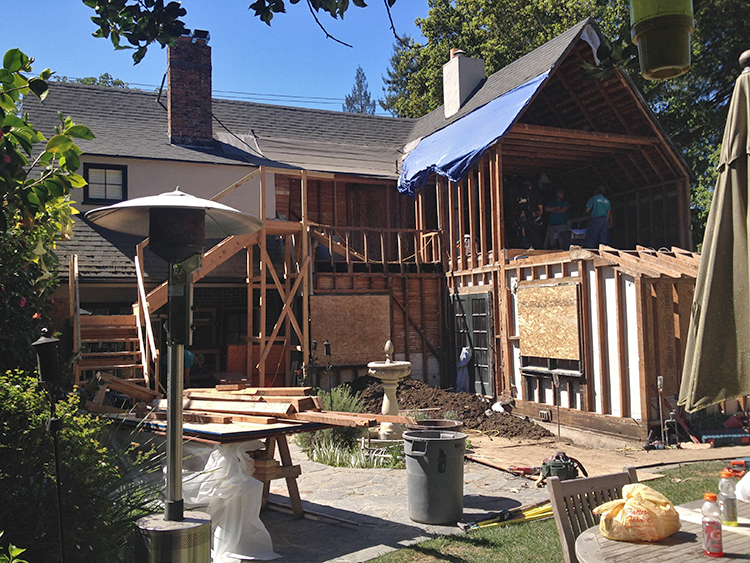 This Claremont Neighborhood home has gone through quite a few transformations over the last century, and if we counted the bones correctly our transformation was at least the fifth! 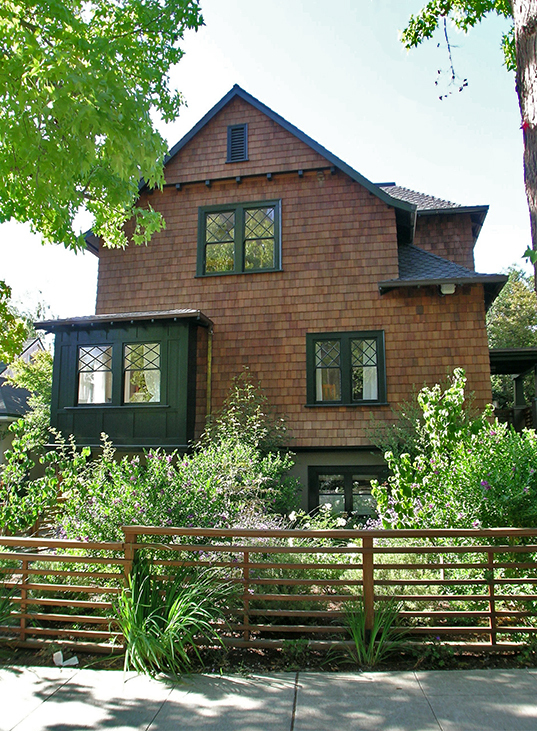 The recent winner of a Preservation Award from Berkeley Architectural Heritage Association (BAHA), this home was originally designed by Harry C Knight in 1909. What began as a two bedroom Turn of the Century Craftsman bungalow became a two story cottage when a couple of rooms were dormered into the tipped roof attic and accessed by a small stairway in the back. 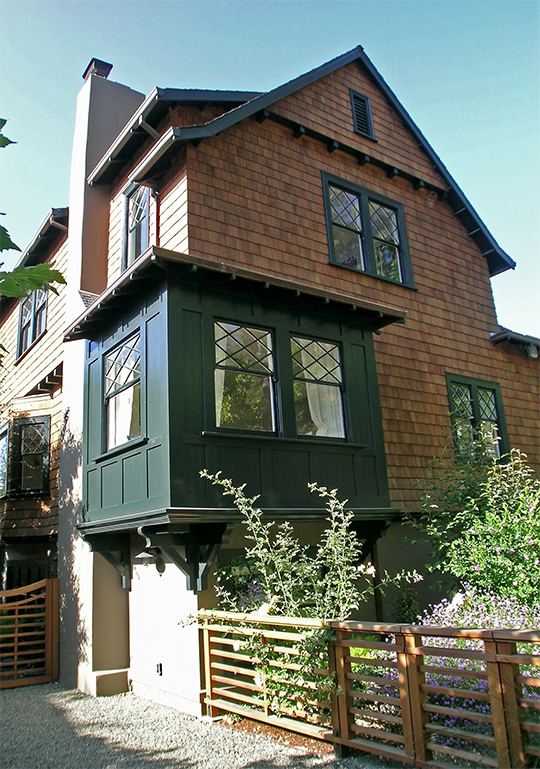 Some time later the upper floor was enlarged to include the large street-facing gable and a new formal staircase. Fun fact: the original back staircase was walled in, to be ‘found’ just this last year! During a subsequent remodel, the formal stairway was widened to a grander scale and the house was re-cast in a thirties semi-art deco style. A later kitchen renovation was up to date for the fifties, but was still quite formal and out of touch with the rest of the house. Suffice it to say, the house was a hodgepodge of disjointed remodels, in need of a fresh take. 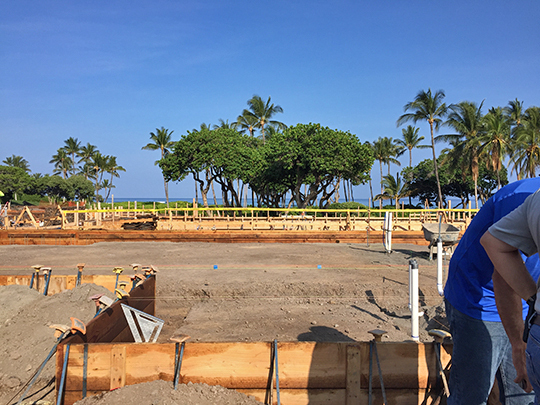 Back in July, Cindy and Arleta paid a three-day working visit to a very special job site: a new home under construction on the Kohala coast of Hawaii. Their photographs capture a glimpse of the painstaking process involved in building a residence from the sand up. 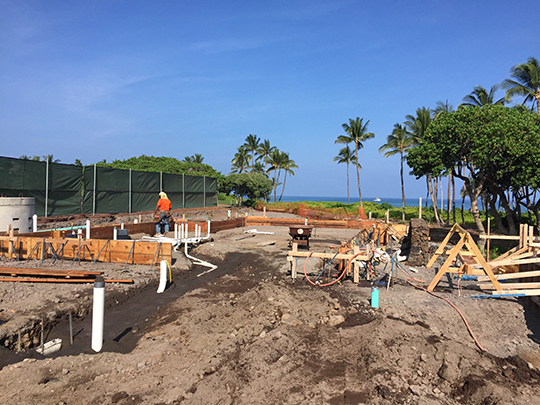 The palm-lined Pauoa Beach coastline is visible from the construction site. Not a bad spot to sit and enjoy one’s lunch break! View of the front entry, which is westerly-facing to receive afternoon light during the darker months of winter. Light (and darkness) has a different meaning at 60 degrees latitude. For comparison, the Bay area is at 37.8 degrees…. The Larsson home has long been an inspiration for many Jarvis Architects projects, with its bold interior and exterior colors and homey personalized atmosphere combining Swedish classic and warmer folk styles. We have come to know the home through photos and illustrated books, such as Carl Larsson’s At Home, which includes watercolor paintings of the home. 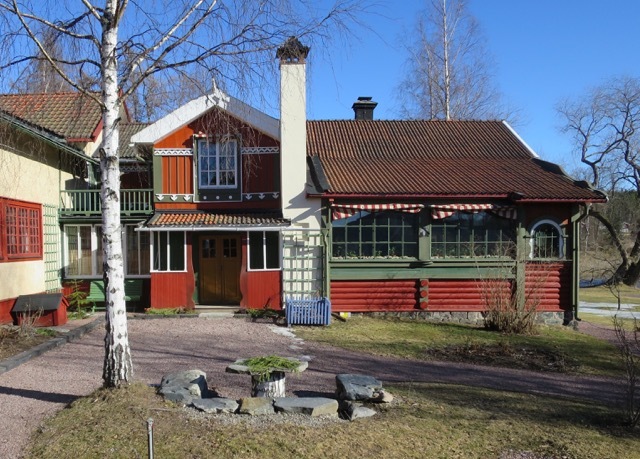 Jon was drawn to the ways that Carl Larsson added personalized elements to the structure of the home itself, by painting portraits of family members right on the walls and doors. 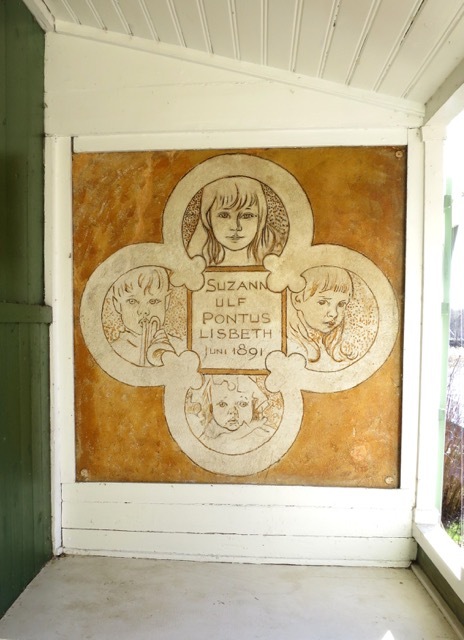 Carl Larsson’s wall portrait of four of his children painted on the side wall of the front entry porch. In person, Jon found the rooms to be physically smaller, and thus more intimate, than they had seemed in pictures. But then again, experiencing the flow of one room into another–including the light, the sound of a gushing river just outside the window, and views of surrounding trees–they seemed larger and more expansive. 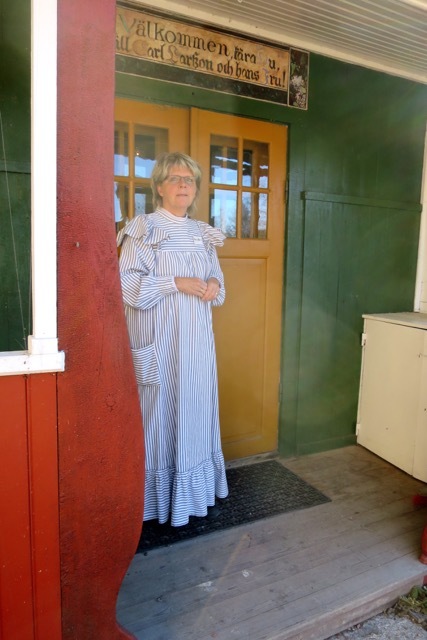 Though now considered quintessentially Swedish, in its time the decor of the Larsson home was considered ‘scandalous’ and ‘vulgar’ for its use of bold colors and the display of painted everyday scenes on the walls. 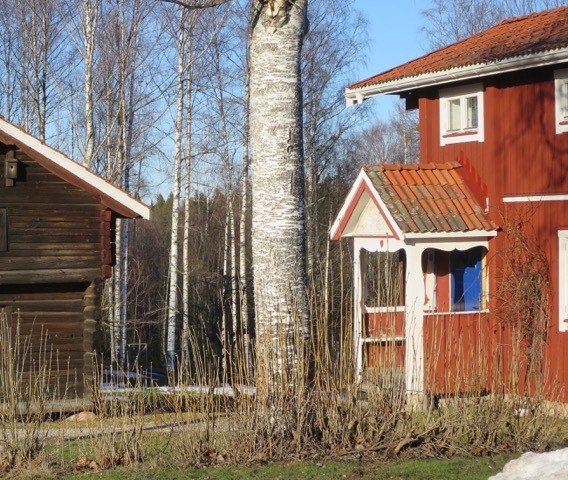 Jon was surprised to find that there were homes with similar character and detailing to the Carl Larsson home (although not quite as colorful) all over the surrounding countryside: homes and buildings from as far back as the 1500’s, many with original or relatively untouched wood exteriors. The Larssons’ mixture of traditional and folk elements, combined with bolder personal touches, into the design of their home is what made their vision truly timeless. For example, 17th century full-height wooden cabinetry and panelling were imported from Germany and used in Carl’s studio. 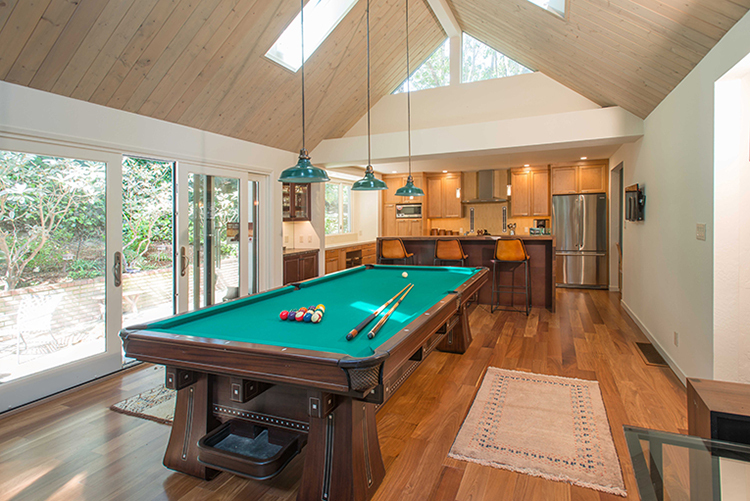 In true homage to our client’s love of pool, we worked with designer Carlene Anderson to create a central communal space around her stately pool table. 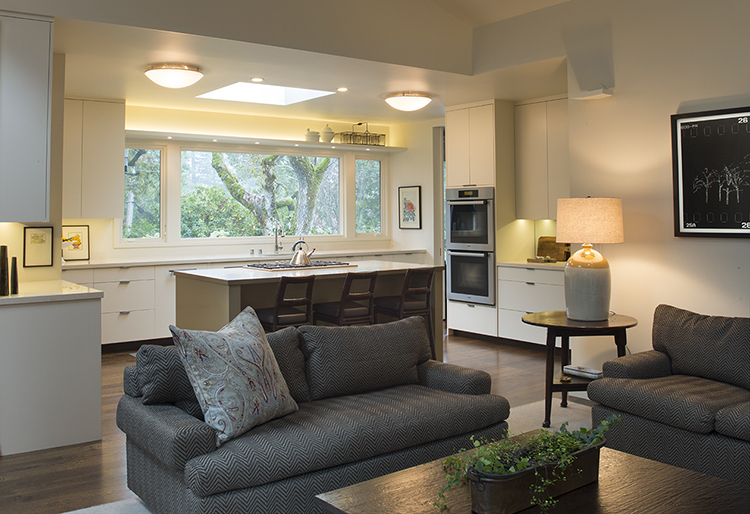 Our architects lifted the ceiling and opened up the kitchen, creating a more expansive, integrated feel to the home. An inset bar adds dimension, and a dining counter with barstool chairs completes the scene. The stove backsplash is what really ties it all together: the inlay pattern of the pool table is repeated here in mosaic. Warm wooden surfaces and opulent earth tones create a harmonious space conducive to sizable gatherings and merriment. Anyone who’s remodeled their own home knows that the success of a project isn’t determined simply by the skilled execution of a static design, but rather the flexible and synergistic relationship between client, architect and contractor. Each project is like a living thing, constantly morphing and developing in response to a client’s evolving ideas and desires, an architect’s fluid but steady vision, and a contractor’s innovative manifestation. A beautiful thing happens when each party can proactively anticipate and conscientiously respond to the needs of each client, as well as the shifting parameters and scope of a project. Case in point: a temporary exterior stairway built by contractor Whitney Collins for a project in Oakland, in which the client’s family has continued to live in a portion of the house during construction. 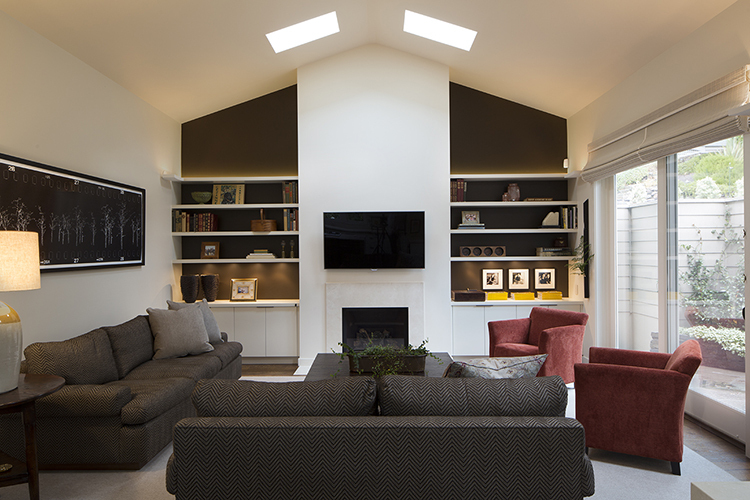 The project includes a cantilevered buildout over the existing family room, as shown in the image below. 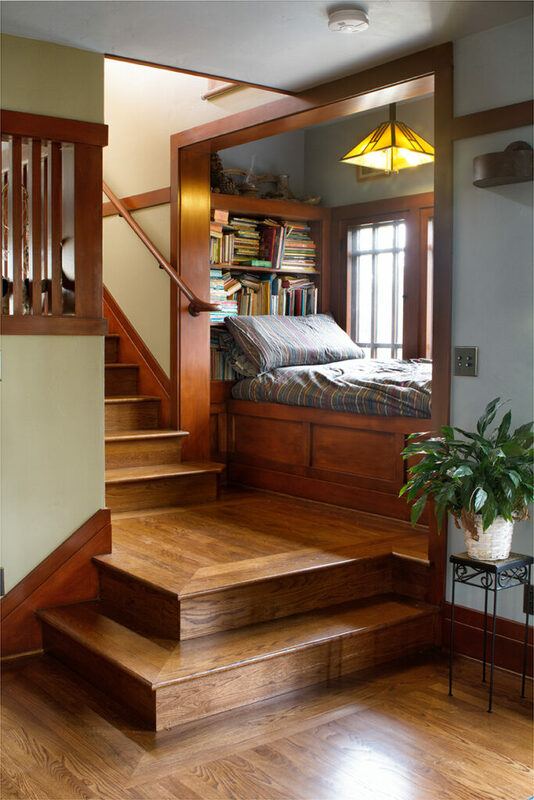 Since much of the house is stripped down to its framing, Whitney devised a temporary exterior stairway for use by the contractors, so that the family could continue to use the interior stair to access the sleeping area of the second floor that is untouched by the remodel. Whitney sealed off a section of the main floor and upper floor so the client could remain in the house, use the kitchen downstairs, and sleep and bathe upstairs. This clever and empathic fixture grants more ease and normalcy for the client during the construction process. Will drones become the futuristic couriers of Amazon prime packages they’re being hyped up to be? 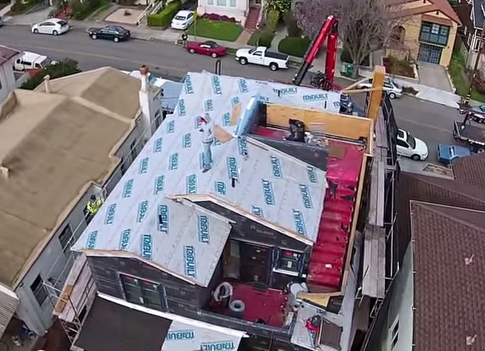 Jury’s still out, but one client of ours has discovered an ingenious way to harness the power of the drone’s skyward domain to survey his remodel-in-progress. The owners of this Albany home used their drone to record the progress of construction from a bird’s eye view. The aerial viewpoint affords a delightfully new perspective on the process, revealing some design elements invisible from the street, such as an upper deck and stairway. The dynamism of the recording itself–at times the drone goes into a light tailspin, at others it zooms in and out, hovering low above the contractors who traverse the roof with grace–adds a dramatic flourish. 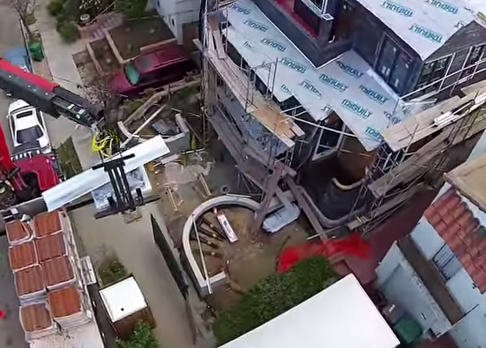 The builder joked that he now has to keep the job site looking tidy from the air, not just from street level! A greater great room: the roof of this Mid-Century home was raised, creating a loftier, more expansive interior. The ebb, flow, and restructuring of ideologies in any given generation makes itself apparent in the architectural innovations of that generation. Perpetual shifts in lifestyle and aesthetics—in addition to inevitable wear and tear—dictate that the “useful life” of a house is roughly 30-40 years. This means that every generation or so, a house will likely require renovations. These renovations require more than just surface refurbishment and appliance upgrades, says principal architect Robin Pennell. The home must be brought into conversation with contemporary living, without compromising the integrity of its original design. 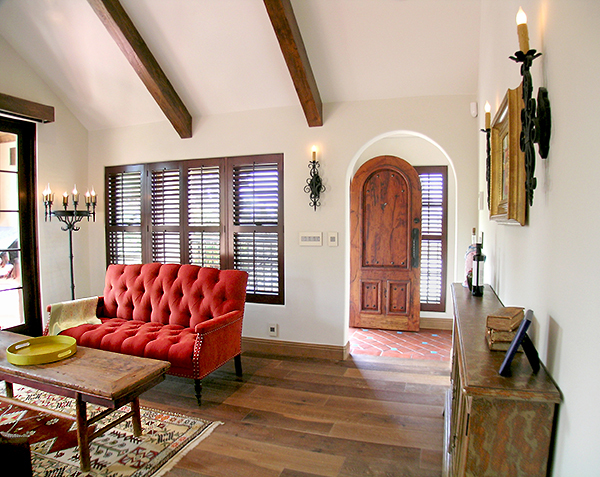 Victorian homes had their second heyday of remodels in the 1980’s; Craftsmans had theirs in the 1990’s, and traditional and early ranch style homes took up the limelight in the early 2000’s. Just as the structural elements and facades of these homes inevitably degrade, so too do the visions of contemporaneity that are encoded within them. Divisions of space start to feel antiquated, like bygone utopias. 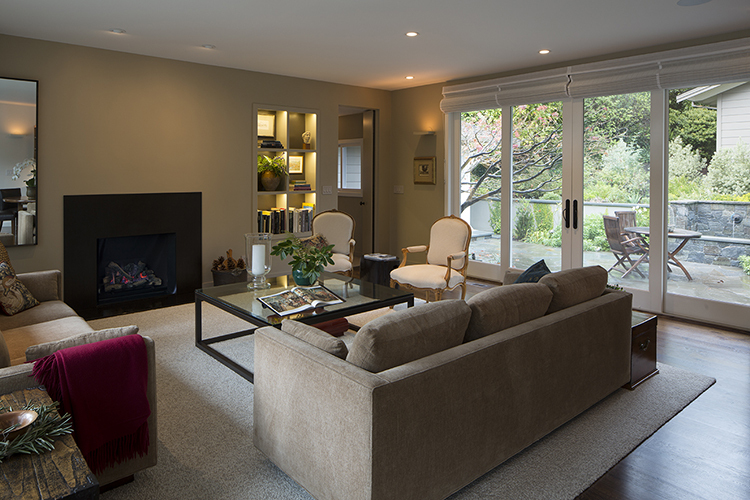 Mid-Century moderns are currently undergoing remodels, and experiencing a new appreciation. The historical precedent of adaptation provides architects and designers with the opportunity to reposition these homes within the context of contemporary living. To bring this 1960’s rancher into dialogue with contemporary lifestyle, Jarvis Architects worked together with interior designer Siobhan Brennan to expand the great room and lift the ceiling, creating a more flowing, warm, and inviting home. With the critical distance of hindsight on their side, it became clear that the so-called open plan of this Modernist home contained vestiges of compartmentalism left over from the Victorian era. During that time, each room contained an individual heating system, and was sealed off by a doorway. One simply opened the door to the room one wanted to be heated. With the advent of forced air heating and more casual living, increasingly open plans became available. Modernism marks a transitional point between the two heating systems, and therefore retains aspects of both architectural morphologies. The open, expansive feel of this remodeled home takes its cue from the original Modernist design, and follows its ideal of overarching simplicity to its logical, contemporary conclusion.